Highest Quality MLM Leads Interested in Work-From-Home Business Opportunity. These super responsive leads are waiting for your business offer. 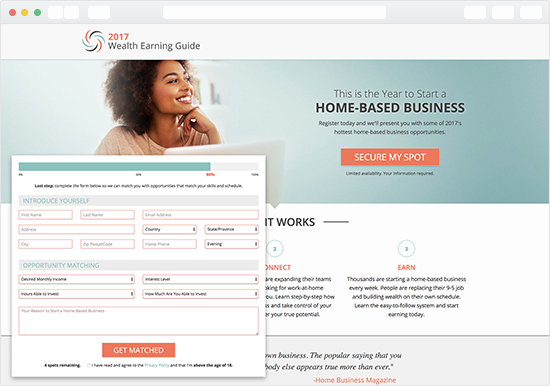 Semi-exclusive Local Prospects are delivered to you in real-time from up to five area codes you wish to target. Options available to select by Gender and to send (redirect) the lead to your personal website.